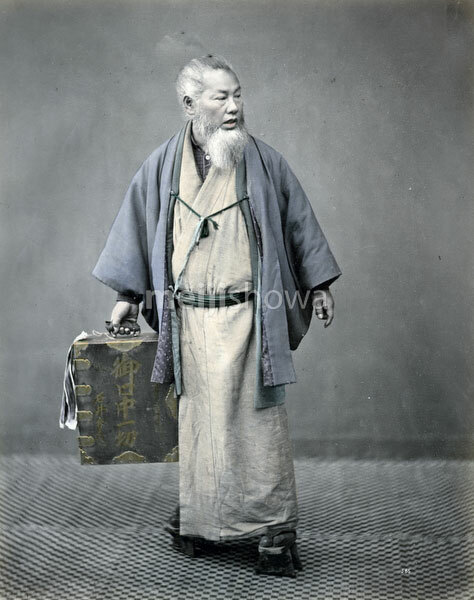 Dentist carrying his tools in a box with the caption “Everything for inside your mouth” (御口中一切). He is wearing a haori and takageta. Ca. 1867 (Keio 3).